What a coincidence, it’s National Beer Day! Here at Margaritaville, we like to spout off about Caribbean boat drinks. Not a bad gig, if you ask us! We’ve served up recipes for offshoots of the glorious margarita, moved on to rum punches, and tasted our way through lesser-known but equally delicious mixed drinks like the Coquito. ‘Bout now, we’re thirsting for some good old island beer (along with our Landshark, of course). We hunted for some cold ones on the magical island of Saint Lucia, and discovered the new Antillia Brewing Company brewery and bar. 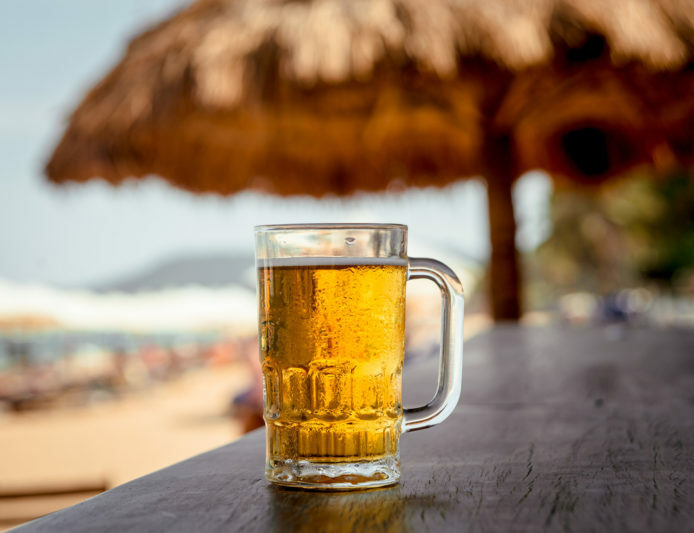 Located on the northwest side of the island in picturesque Rodney Bay, Antillia Brewing Company is one of the friendliest drinking holes you’re gonna find. It’s the brainchild of two Canadians, businessman Greg Potten and veteran craft brewer Andrew Hashey, who pined for a different kind of beer. Lucky for us, they found a decommissioned brewery and now produce handcrafted brewskis specifically designed for the Caribbean climate and tastes. Crisp and full-flavored pale and golden ales, organic chocolate stouts and their must-try seasonal passion fruit ale: they’ve all earned rave kudos from globe-tripping visitors. This doesn’t surprise us, because at the prestigious Caribbean Rum & Beer Festival in 2015, they took home two gold and two bronze medals. Boat drinks are obviously great, but what’s a hammock without a bottle of beer?